Univ. of Sydney, Australia. Completely revised text for students. Includes clear and illustrated explanations of clinical methods. Previous edition: c1996. 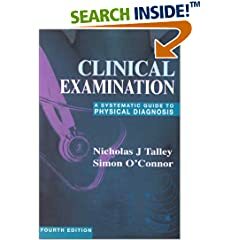 This edition includes annotated references providing an evidence-based approach to physical exam techniques.